What makes our seafaring adventures so memorable? Maybe the close-up encounters with whales which you had only dreamt of before, together with stunning nature and personal service on board? Maybe the sail around an island with 250.000 puffins above, around and under you? 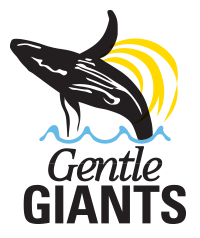 Gentle Giants offers exciting seafaring adventures which you do not find elsewhere. We are located in the famous whale watching town Húsavík, by Skjálfandi Bay, on the northern coast of Iceland. We focus on quality rather than quantity, and that is why we can offer you an outstanding personal service. With a 98% success rate of spotting whales, our main aim is to raise general awareness and interest in whales and their habitat. Gentle Giants offers a wide variety of tours; whale watching trips on board both oak boats and RIBs, guided excursions to the beautiful Flatey Island (where over 30 species of birds nest, including the red phalarope) and Puffins Exclusive which is a one hour express tour to Puffin Island where around 250.000 puffins spend their summers. We can also arrange tailor made tours upon request. For more information see www.gentlegiants.is or end us an e-mail at info@gentlegiants.is.